Our Mission is to create opportunities for young Australians in need by providing long-term support for their participation in education. Today, 638,000 Australian children are living in a jobless family*, where even life’s basics are hard to come by. When families are experiencing financial disadvantage, children can fall behind in their learning, leaving them more vulnerable to experiencing hardship themselves later in life. Investing in the education of a disadvantaged child today has long-term benefits for them, their families and the communities they live in. By supporting a disadvantaged child to participate fully in their education, they can achieve better life outcomes overall. A key way The Smith Family supports children in need is through Learning for Life. This program helps them to participate more fully in their education through a three step approach: Financial, practical and emotional support supports their educational journey throughout their school years. This innovative, evidence-based approach is improving the attendance and attainment rates for disadvantaged children at school, and in addition is enabling them to be engaged in higher education studies or work after leaving the program. • access to Smith Family educational programs to help children get the most out of their school years. Education is the key to a better future. By leaving a gift to The Smith Family in your Will, you are ensuring that future generations of Australian children have the support they need to believe in themselves and make the most of their education. The Smith Family is there for children in need every step of the way on their journey through primary, secondary and even tertiary education if they choose. A bequest to The Smith Family will help us to continue to provide long-term learning support and mentoring programs that give disadvantaged children the skills and confidence they need to reach their full potential. Your generosity will help ensure this vital support continues long into the future, helping generations to come. Supporting disadvantaged Australian children with a gift in your will is an incredibly meaningful commitment to the future. To request a Gifts in Wills Inquiry Pack please email us at gifts-in-wills@thesmithfamily.com.au or call our Supporter Care Team on 1800 024 069. Today, one in 10 Australian children are living in a jobless family*. When families experience financial disadvantage, children miss out too. Without the basics they need for school, they quickly fall behind and never catch up. The Smith Family’s programs improve reading and numeracy skills, and provide the tools and support a child needs to thrive in school, so they can create a better future for themselves. Together, we can stop poor children from becoming poor adults. 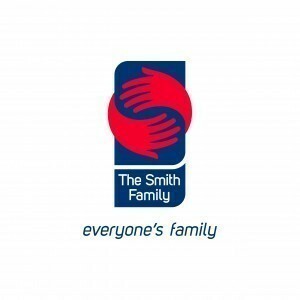 To donate online please visit www.thesmithfamily.com.au or call our Supporter Care Team on 1800 024 069. Share your skills to help empower Australian children in need to transform their lives through education. Volunteers are the backbone of The Smith Family. Without them, much of the work we do would not be possible. Each year, members of the community, our corporate partners and VIEW Club members generously give their time, skills and energy to support our work with thousands of disadvantaged Australian children and their families. Our volunteer mentors support young people who are making the challenging transition from school to work or further studies. Our volunteer tutors help students to improve their literacy skills through our Learning Clubs, or by providing basic English language skills to help refugees and new arrivals settle into their local communities. We are also assisted by a nationwide team of administration and project support volunteers who work behind the scenes to help with the day-to-day operations of The Smith Family.